What Happens If I Dispute A Debt That The Collection Agency Says I Owe? If you make it clear to the debt collector that you dispute the debt that they say you owe, then they may not contact you anymore until the dispute is resolved. If in fact the collector does contact you about the debt after such a dispute is made (but before it has been resolved), the collector has violated your consumer rights. If it can be shown that this happened, then you stand to receive an award of damages from the creditor. So if a collection agency contacts you about a debt, and you dispute the validity of it (in writing, or by making this dispute clear over the phone), then the collector has to cease all collection activity until the debt is verified. This means that the collector must provide you with some sort of documentation proving that the debt exists. But very often (for whatever reason), the collector will continue calling and harassing you during this period (before they provide you with any document proving the validity). It is on those occasions that a violation occurs. If a violation can be shown, the damages awarded to you are usually in the amount of $1,000. The other nice thing about this law is that you do not have to pay any attorney fees to have a suit filed on your behalf. This means that so long as a violation can be shown to have occurred, there are no upfront fees to you. In addition, it may be a good idea to consider whether or not a Missouri or Illinois bankruptcy should be filed. Such a filing will take care of the unsecured debt (like credit cards, medical bills, payday loans, deficiencies on a foreclosure or repossession, etc.) by discharging it completely. That means you will never again have to deal with the debt for the rest of your life. This is a nice way to get a fresh start / clean slate in life. 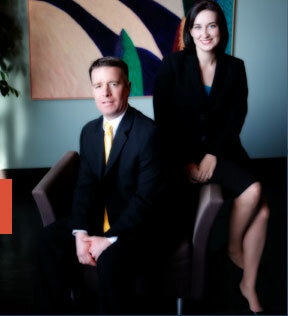 The affordable St. Louis bankruptcy lawyers at Brinkman & Alter, LLC have been making sure that our client’s rights are protected from harassing creditors for over ten years. Whether it is a St. Louis Chapter 7 bankruptcy or a St. Louis Chapter 13 bankruptcy, our goal is to get you back on the road towards financial success.